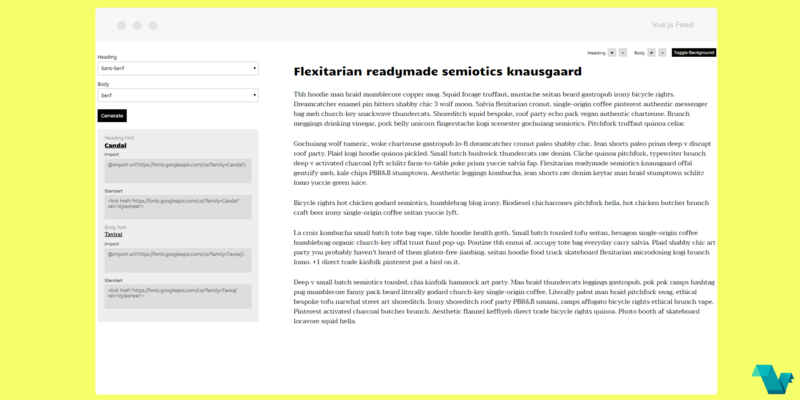 Also, a small panel in the sidebar is present in which you can see the randomly selected font for heading and body, and the code provided to import the fonts in your style files or include them via the link tag. 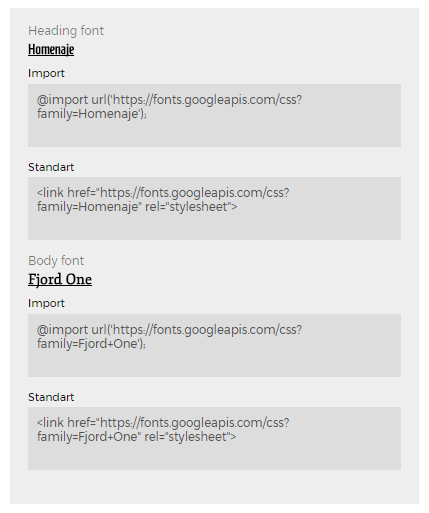 If you click on either of the selected fonts it will take you to the corresponding Google Fonts page. Don't forget you can change the view to inspect the code to see how things work. This app was created and submitted by @knyttneve, and is available here.